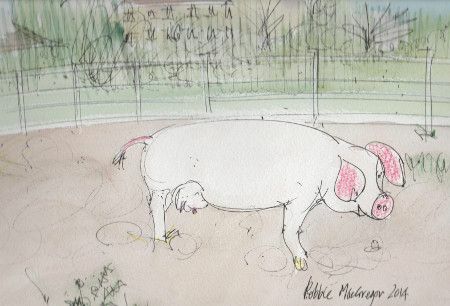 Local artist Robbie MacGregor has recently completed a series of drawings of some of the farm animals. They can be seen soon on the main notice board by the stables. Currently showing are a collection of photos by Finn Nocher. The farm is open seven days a week, 9am - 5pm.